India’s Golden Hopes of London! Badminton Stars Saina Nehwal and Parupalli Kashyap have broken the shackles in The Indonesian Open just before the London Olympics of 2012. 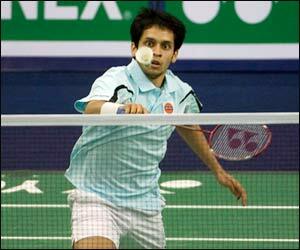 Kashyap created a sensation by beating no. 1 seeded Chinese Long wen Chen. Here are the Golden hopes of India for this Summer Olympics at the capital of Britain.